How would it feel to Zip down a 45 degree slope for 650 feet at lightning fast speed? 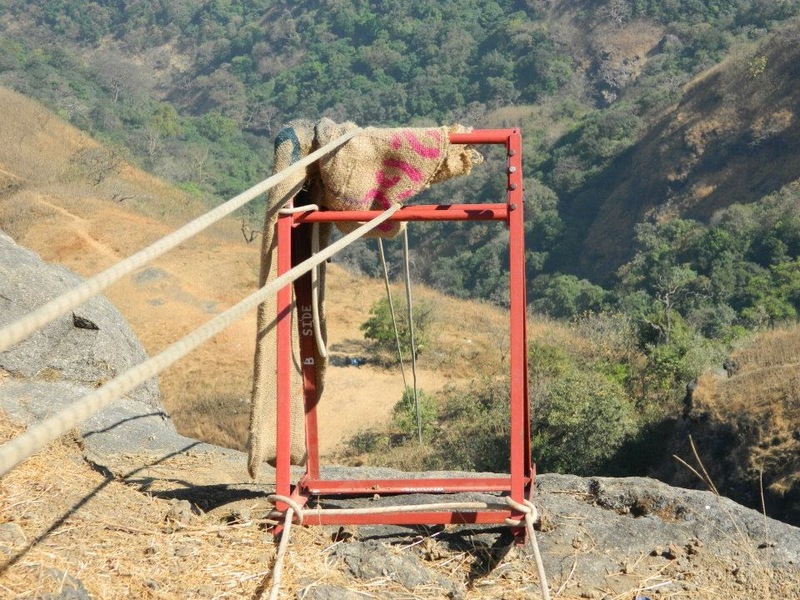 What would it be like to cross over a 220 feet wide chasm on a 2 inch wide piece of tape (flat rope) knowing that it has never been done before, in the Sahyadris? That's right! 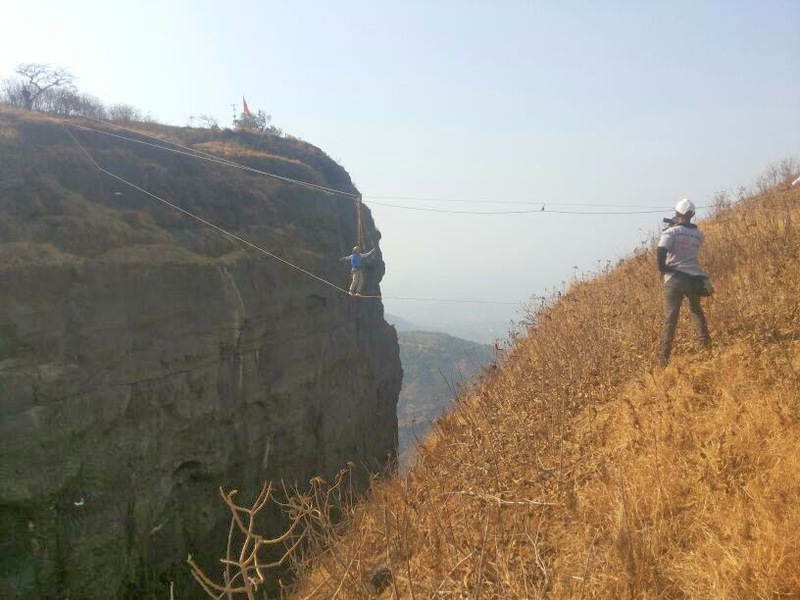 The 'Highline' Activity is happening for the 'First' time in the Sahyadris & also the country and this combination of the Highline & Zipline together is a unique one that is being brought to you exclusively by Canvas N Chrome. 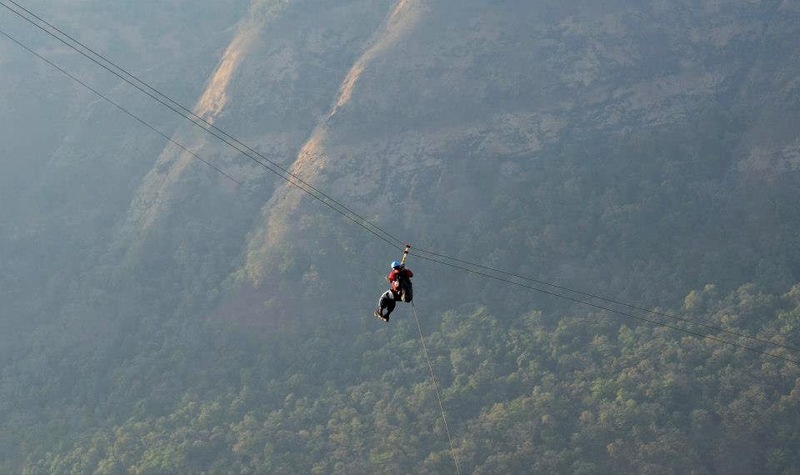 While Zipping down the rope will provide an immediate rush, Walking on a tape with the seemingly bottomless chasm below you feet; Well as our title for every adventure event suggests, It would need Guts. . . Loads of it!!! 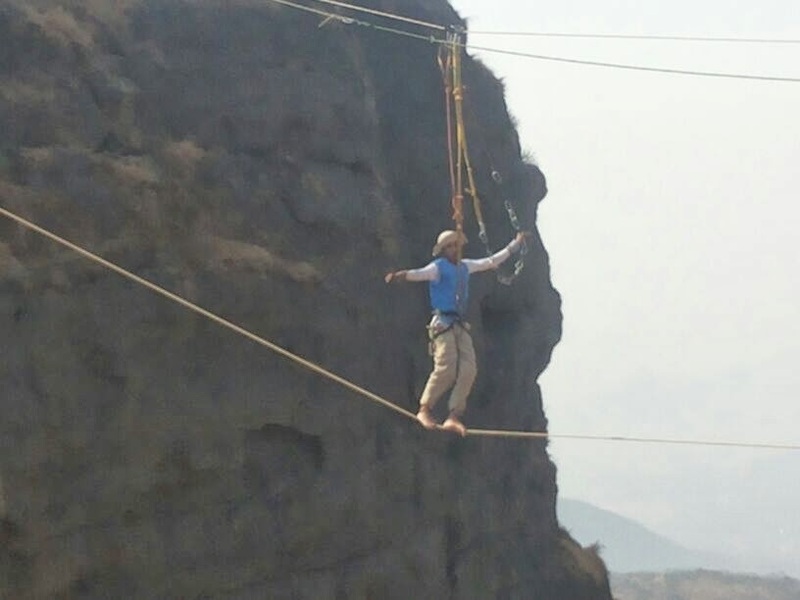 Apart from the obvious thrill & adrenaline spike, the activities will help overcome the fear of heights & the sense of achievement post completion would be indescribable. Join Canvas N Chrome & be a part of this Unique High Adrenaline Adventure at Dukes Nose, Lonavala on 12th & 13th April 2014. To deviate from the beaten track of posting images to depict the event; We thought that this simple animation would give a fair idea about the thrill level of this activity! MSRTC Shivneri & Semi Deluxe buses are available every half an hour from Dadar, Thane, Borivali, & Pune for Lonavala. The approximate travel time from Mumbai would be 2.5hrs & from Pune would be 1.5hrs. The bus will halt almost 5kms before Lonavala city & one has to hire a rickshaw to get to Jaichan Chowk.